A frustrated, out of work actor turns to medical acting to pay his bills, offering intensely committed performances to students who are simply trying to diagnose symptoms, not evaluate believability. The actor, Paul (played by Alex Karpovsky) wants to be great but without a traditional audience is falling to shreds. Depressed and alone, he studies all night, staring into his mirror cluttered with post-it notes listing symptoms of the diseases he’ll be performing. While a friend lands a coveted role in a stage play with health insurance, Paul’s Meisner teacher gives up on him, accusing him of not living in the soul of his characters. 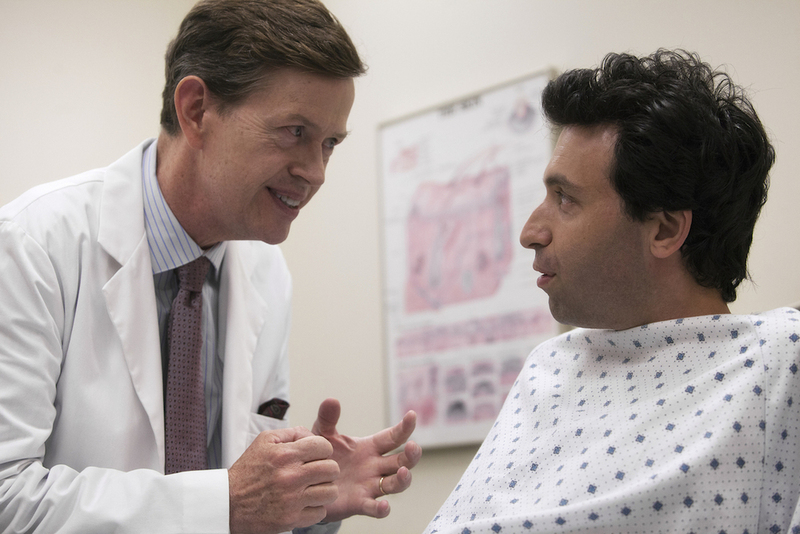 The only person who appreciates his craft is the doctor teacher played by Dylan Baker, “Just masterful,” he compliments, “I hope our students fully appreciate the quality of education they are receiving.” But the doctor's approval only seems to remind Paul of his failures elsewhere. Slick production values and an impressive lead performance carry the weight. And a dark, subtly comedic tone is handled well by director, Michael Tyburski, a veteran of Sundance and Filmmaker’s “25 New Faces of Independent Film” (19 minutes).